We hope you all had a lovely holiday. 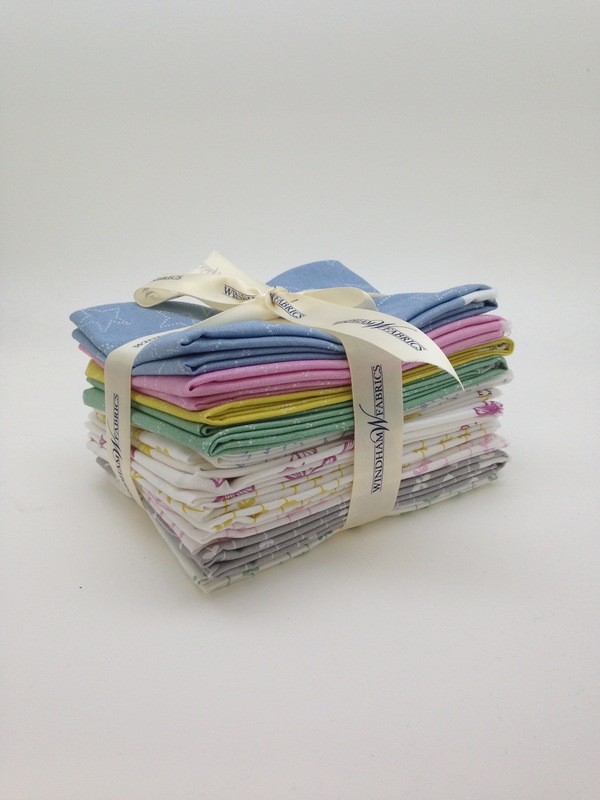 We are pleased to announce the Lotta Jansdotter Everyday Style Blog Hop! Lotta Jansdotter has a brand new book featuring beautiful designs in her signature style, that Alexia Abegg of Green Bee Designs helped her imagine. During the course of the hop, we will be providing a lucky winner with a prize package to include a copy of the book from Abrams Publishing, a Fat Quarter bundle of “Lucky” fabric from Windham Fabrics, Lotta temporary tattoos by Tattly, and Lotta washi tape. See the schedule below and be sure to follow along! It’s your Lucky day! We have one more fantastic tutorial featuring Lotta Jansdotter’s latest collection, Lucky! 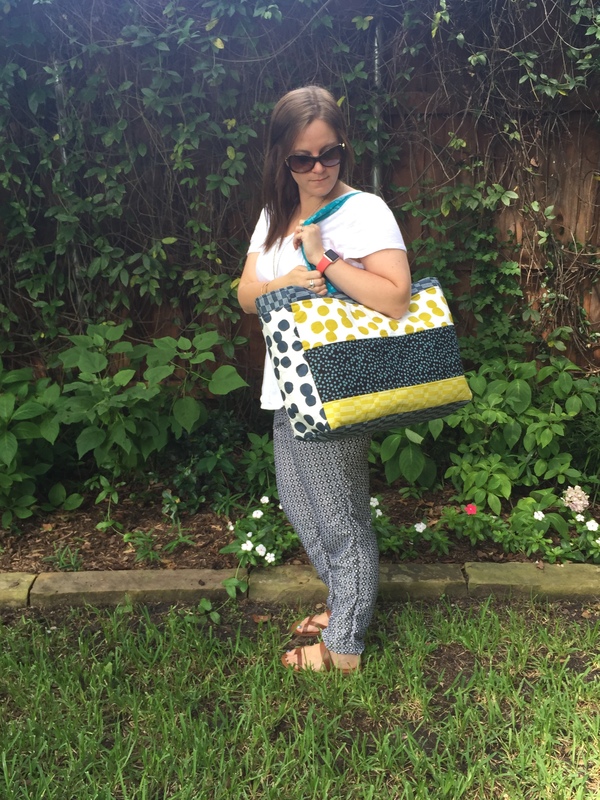 Kristen of Two Blondes and a Sewing Machine has designed this stylish carry all tote! We love how roomy this bag is and how playful the prints found in Lucky are used. 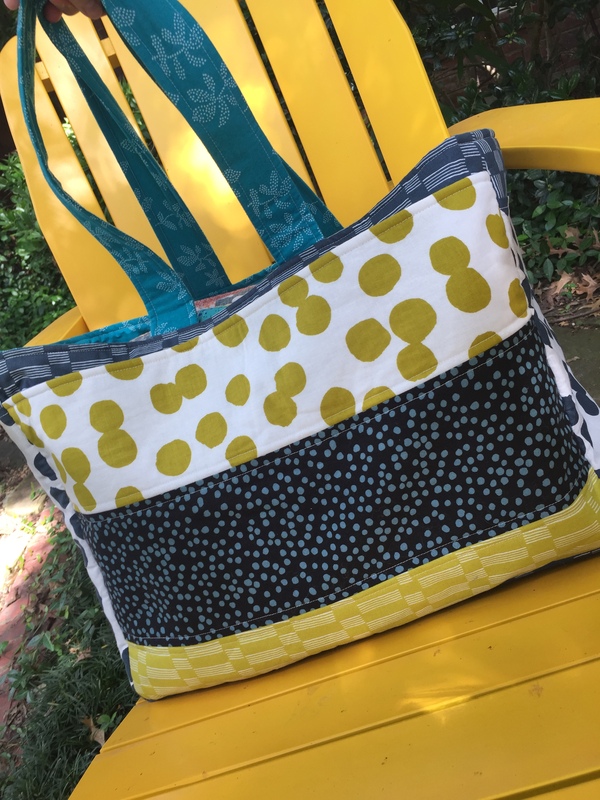 Learn how you too, can create your own version of this tote! Check out the instructions below! 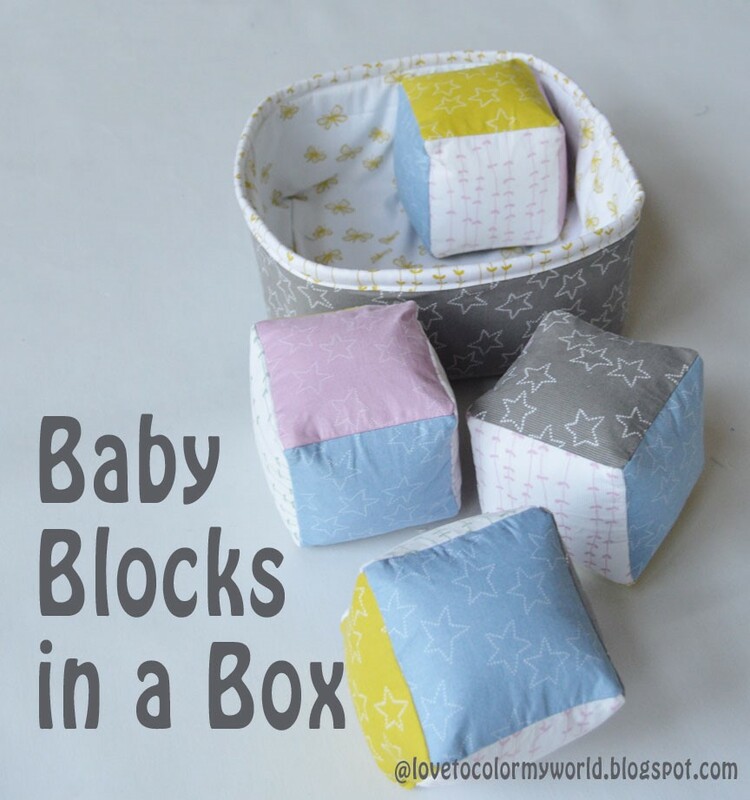 It’s a great project for the holiday weekend! All seam allowances are 1/2 in unless noted otherwise. -Take outside pocket and outside pocket lining, place RST and pin at the top. Sew a 1/4 in across the top. Flip over, iron, and top stitch the top of the pocket. -Place outside of pocket on one of your exterior pieces and pin down. Set aside. -Take the side panel and bottom panel and pin the 8 1/2 in sides together, sew. Repeat to make one long side-bottom-side gusset. -Starting and the bottom attach your gusset to your front panel pinning together. Sew. Repeat for back panel. -Mark the top of your front and back exterior panel and measure 2 ½ in on both sides. Baste handles down at each 2 1/2 in mark. -Make two inside pockets by ironing the 20 ½ in side WST by ¼in, and then by another ¼in. Iron and topstitch. -Align both pockets with inside front and back pieces, baste pocket to front and back lining. -Take the side panel lining and bottom panel lining, pin the 8 1/2 in sides together, sew. Repeat to make one long side-bottom-side gusset. -Starting and the bottom attach your gusset to your inside lining front panel pinning together. Sew. Repeat for back panel, leaving a three inch whole at the bottom. -Turn lining wrong side out and turn the bag right side facing out, place it inside of the lining piece. They should be right sides together. -Pin the top of the lining and the outside of bag together. Sew the top with a ¼ in seam allowance. -Pull the outside of the bag through the whole left in the lining and iron the top of the bag. Topstitch. -Sew the lining whole closed and enjoy your new bag! Thank you so much Kristen! Be sure to follow her on Instagram@Twoblondesandasewingmachine. Day One of the Lotta Jansdotter Blog Hop! Welcome to Day One of the Lotta Jansdotter Blog Hop! We love Lotta Jansdotter’s cool Scandinavian style! This month her collections Lucky and Stella will be shipping to stores and we wanted to feature the wonderful creations made from these two beautiful lines. 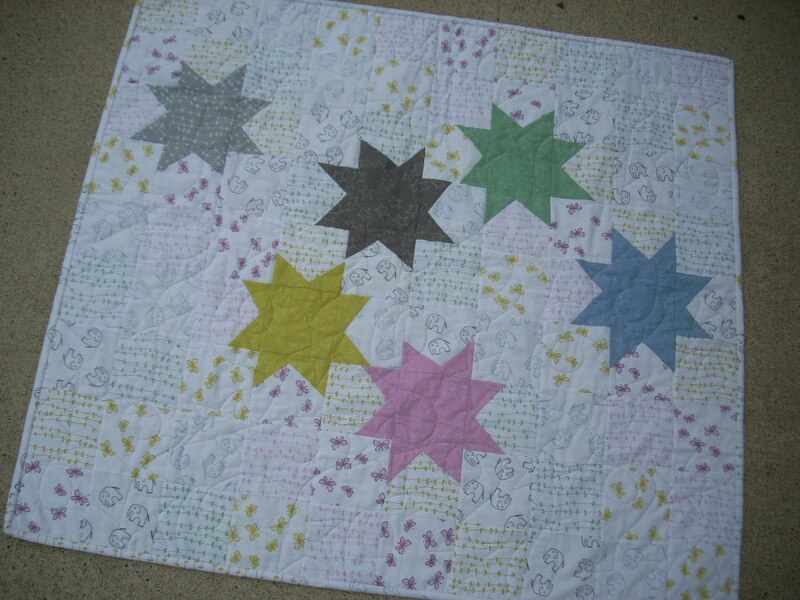 Brooke of Silly Mama quilts is going to kick it off with her “Stars for Stella Quilt”. Check out her tutorial on her blog and be sure to “like” our Facebook page , Follow my blog with Bloglovin and comment on Brooke’s post and tell us what you would do with the bundle! We’ll choose the winners at the end of the blog hop!